If you find the stop and start stuttering of the traditionally turned heel an insurmountable impediment to the irresistibly illustrious insteps of socks handmade from hand painted yarn, these are the socks for you. 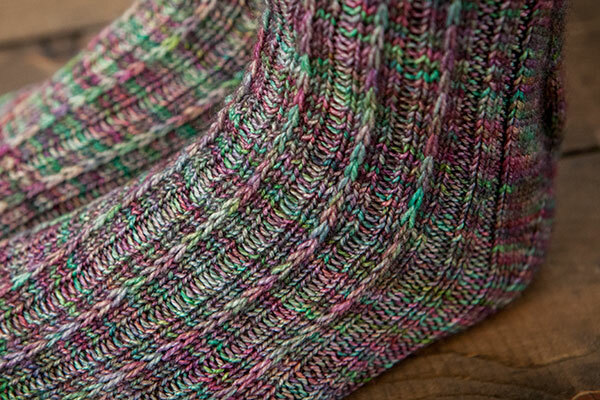 Ingenious increases and devious decreases create shaping that form a heel, requiring no flaps, short rows, picking up stitches or other esoteric contrivances. 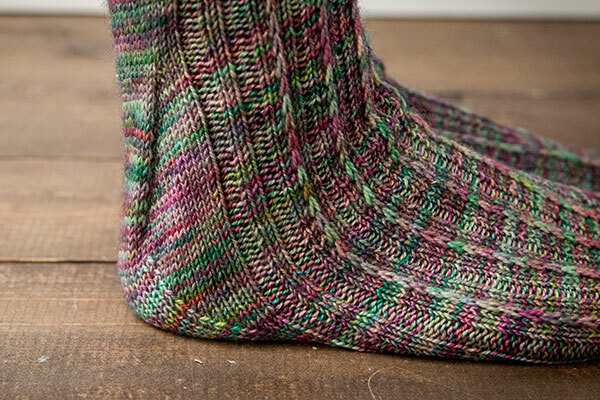 So revel in your knitting ramble without a boorish heel to interrupt your fun. Don’t Interrupt socks are worked from the top down. 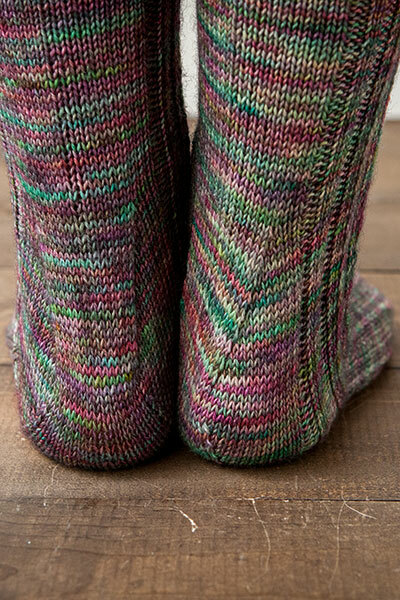 A double gussets take the place of a turned heel, while a slipped stitch pattern foreshortens the front and instep to accentuate the heel shaping. The rib pattern is nice, but the heel design is terrible. It bunches up on the front of the ankle and strains a bit on the back of the heel. I ended up ripping out the door and heel and doing a heel flap and gusset instead. 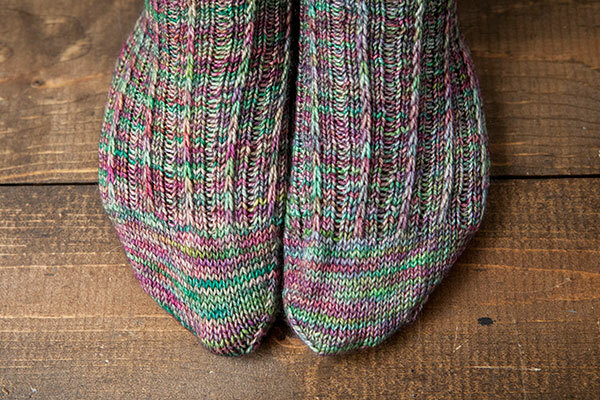 You can even see how the ankle front bunches in the photos in the pattern.